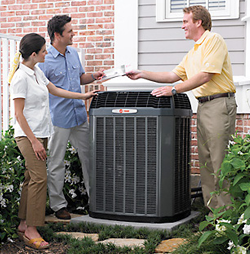 Included in your Air Conditioner tune-up, we perform an inspection of your evaporator coil. 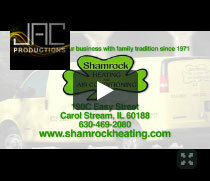 This step can catch a lot of common air conditioning problems before they happen. Not only will that save you money (and a lot of aggravation) but by keeping an eye on it every year, we can make sure that it is clean. A clean evaporator coil is an efficient evaporator coil! That will definitely help to keep you cool during the dog days of summer. Your evaporator coil is typically encased in a metal box and that makes inspections especially difficult. When an evaporator coil gets clogged up, the condensation that is removed from the air when the air conditioner is in use can leak out of this metal box and cause quite a mess! In addition to the mess, it can also damage your furnace. 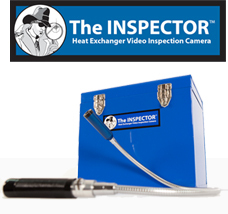 Using the revolutionary Inspector inspection camera, we can get a video of the inside of your evaporator coil. You can see for yourself if it is clean or not! By taking this step, you can get some “Peace of Mind” in knowing that you are not going to find a leaky evaporator coil during the summer. Even better than that “Peace of Mind” is that there is no additional charge for this inspection. 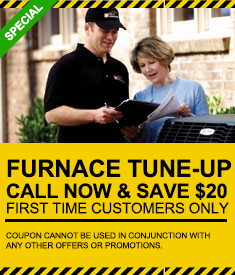 We include them free of charge with every tune-up and service call. Get your “Peace of Mind” today and Schedule an Appointment Now!